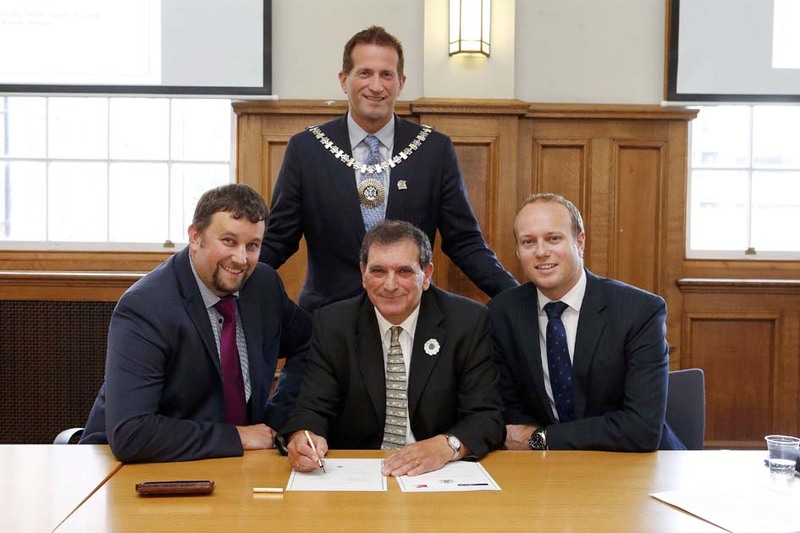 We’re proud to announce that Barnet has become the latest area to sign up to the Faith Covenant. 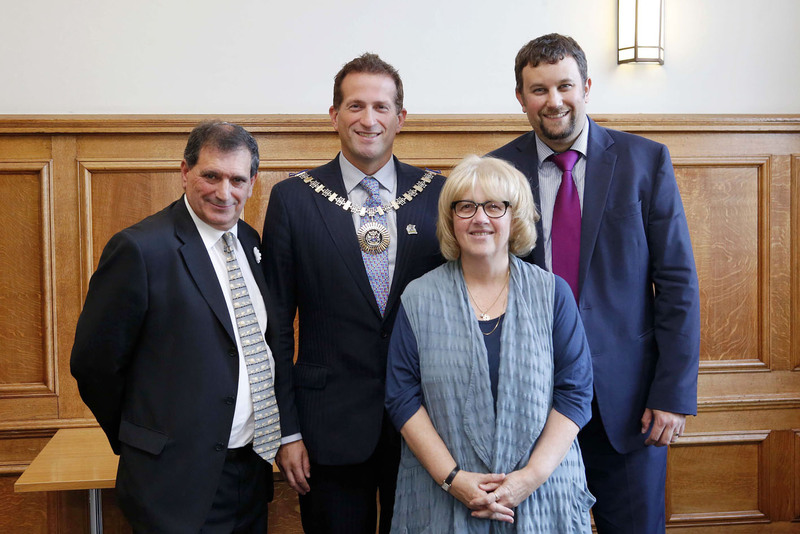 On 9th September 2015, Barnet Council and representatives from local faith groups – including Mayor Mark Shooter, Deputy Council Leader Daniel Thomas, and Chair of the Barnet Multi Faith Forum Esmond Rosen – made a commitment to work together in delivering the services needed by the community. 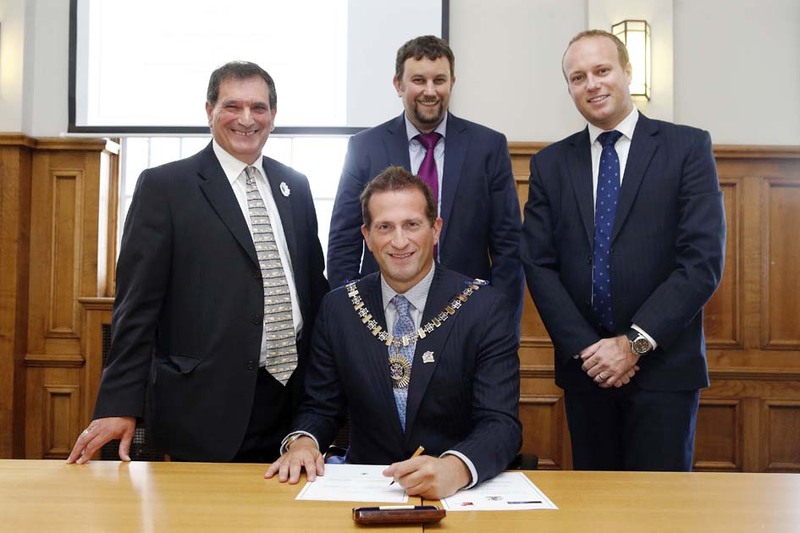 Barnet Council and the Barnet Multi Faith Forum are agreeing to respect the freedom, integrity, and differences of each other, whilst at the same time, committing ourselves to play an integral role in the design and strategic delivery of public services in the borough, and together attempting to make our neighbourhoods safe, sound and prosperous. We will strive to place at the top of our joint agendas the safeguarding, security, protection, enhancements of social care, welfare and respect of all our residents. 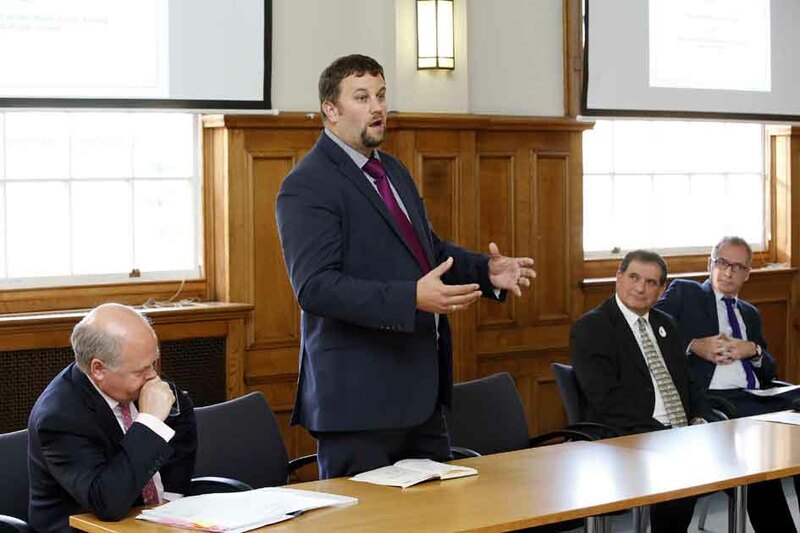 The Covenant will raise a greater understanding by Council members and officers to the essential needs of faith organisations and charities of both their cultural and faith requirements. We in turn will aim to promote community cohesion and resilience. This covenant says very loudly that faith matters. It matters for millions of people around the world, and many thousands in our borough. When asked what’s good about this borough, our residents have always responded very positively; that they wish to live here with many others with a different belief in peace, harmony and respect and we have a proud history of providing support and assistance, where and when required, in assisting the poorest, the disadvantaged, the dispossessed and those seeking refugee status. These are the good news stories from our borough that together we strive for, and we can only hope our press and media continue to proudly report this in a positive manner. Often we don’t appreciate or fail to be aware of how our great institutions of British democracy resonate down to a local level, but without a group of parliamentarians coming together with faith leaders, this document could never have been forged. So to Stephen Timms Chairman of the APPG for Faith and Society; to Daniel Singleton and particularly his colleague Naomi Stephens of FaithAction; we recognise their wisdom, devotion, energy, organisation and persistence. Next Faith, hope and charity: can we overcome the problem of proselytism?